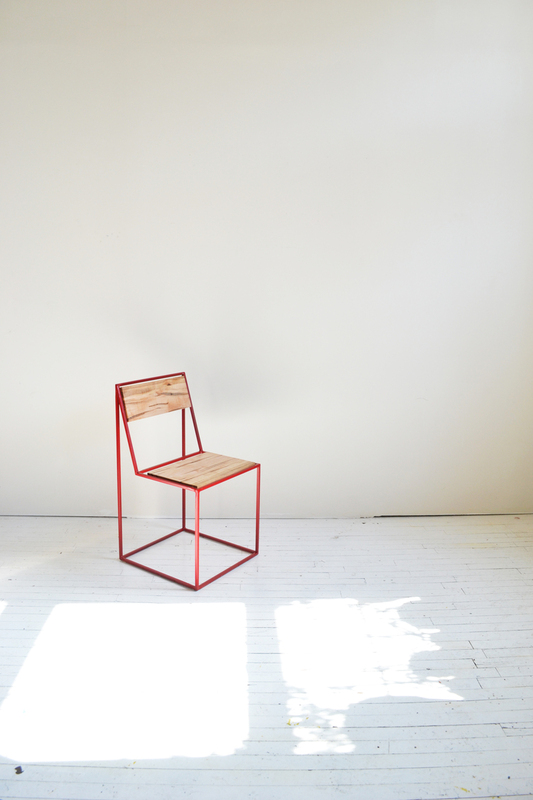 The aim of this project has been an ongoing pursuit, a continued effort, to distill down the chair as an object. To tear apart the very flesh and get to the bare bones. We wanted to keep it looking light while maintaining longevity. square steel rods enabled us to maintain a skeletal aesthetic while the use of wood encourages a welcoming component for the user to interact with.